From 7th to 8th of July 2017, the heads of state of the most powerful industrial and emerging countries have met for the G20 summit in Hamburg. 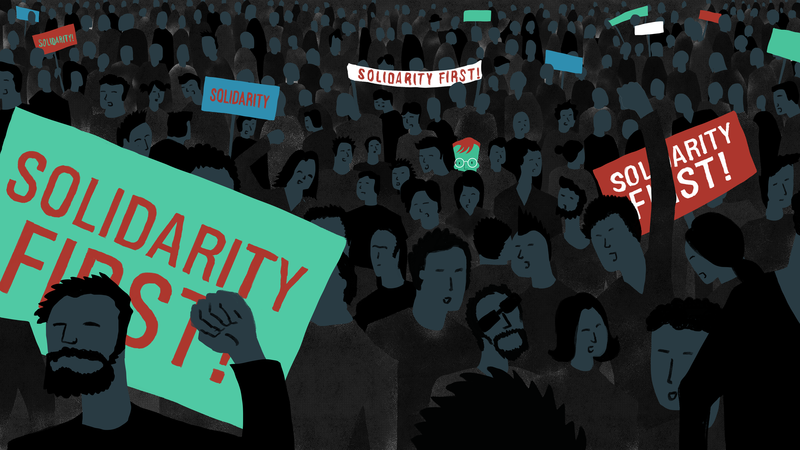 On 5th and 6th of July, civil society presented a counter-proposal to the “Summit for Global Solidarity”. To mobilize for this counter summit, the Rosa Luxemburg Foundation commissioned us with a 2D animated campaign video. The reporter Tom reports life from the red carpet of the G20 Gala. It presents the individual actors of the gala and provides insights into the background and outlook on possible developments.